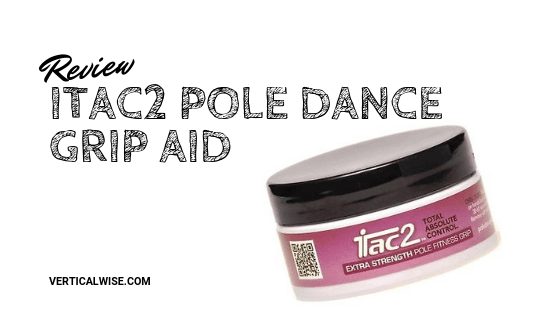 In this review we will look at the iTac2 Extra Strength, which is a grip aid you will usually find at pole dance schools worldwide and it can be used by both advanced and beginner pole dancers. 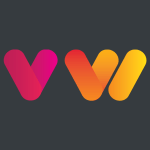 At Vertical Wise we love product reviews as it assists you in making the most out of the various products for pole dancers out there! How do you know if it’s going to work for you? iTac2 Extra Strength Pole Grip helps the body to stick to the pole, improving control and saving your energy levels. Used on key areas of the body such as feet, hand, armpits, etc. (depending on the moves that are to be executed). Use iTac2 Extra Strength few minutes before starting the exercise or use it immediately before attempting a new move. Extra Strength iTac2 is designed for use on the hands and body, but not on the pole. Designed to provide extra traction on your skin, it doesn’t work if you apply it directly to the pole. You can find the regular iTac2 as well. Apply a very small amount on your finger and rub your hands or any body part you need extra grip on. In the areas where you apply it you will feel that it is slightly sticky. Then needs 1-2 minutes to dry the product before it provides an effective grip. Don’t rub your hands continuously after you apply. iTac2 is made from beeswax and needs to dry naturally in the air or it leaves your hands feeling waxy. Make sure you use a small amount as using more than necessary will make the pole slippery. 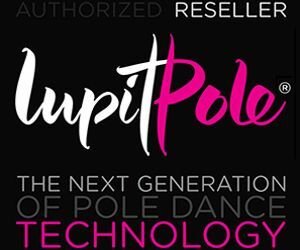 When you first try this product, you will notice that it is very solid, something that makes it different from the other pole dance aid grips in the market. It is made from beeswax that reacts with the air to provide extra grip. It needs that extra minute to dry so as to be effective. SOS! Does not prevent perspiration! iTac2 Extra Strenth is extremely sticky. Is one of the stickiest aids that exist so this is ideal for those who have a problem with their grip. It is ideal for spinning poles, as it is so sticky! Because it is not liquid or powder, it gives you complete control of where you need that extra grip. If your right knee needs some extra grip, no problem! If the inside of your elbow needs a reinforced grip, but the rest of your hand does not, then you can be extremely precise with where you use this product. Leaves no white residue on your clothes or skin, so it provides an invisible layer grip anywhere you put it. The jar of 45gr will last for a long time, as you don’t need a large quantity for it to be effective. Provides extra grip for climbs, spins and holds. Works great if you have dry skin (especially on your hands). Also available in convenient stick packaging, convenient for carrying in your bag and when you travel. It can be very difficult to rinse of your skin! We recommend that you use warm water and soap. We find that once you start sweating after using this product, the skin and hands are made even more slippery and we had to use Dry Hands as well >> see our review for Dry Hands. The product has no moisture protection and does not prevent you from sweating. The iTac2 Extra Strength Grip Aid is not vegan, so if you live a vegan lifestyle then this product is not suitable for you as it is made from beeswax. Leaves a sticky residue on the pole and you’ll need to clean your pole much more often if you choose to use this aid grip. Finally, it is worth buying? The Extra iTac2 Pole Grip Strength is the favorite product of many pole dancers and from our own experience it fulfills its promises. If you’re particularly sweaty when you train, then you’ll need to use another product along with the Extra Grip Strength iTac2 Aid, which does not prevent you from sweating. In fact, if you sweat, then sweat mixed with the product makes your grip more unsteady. 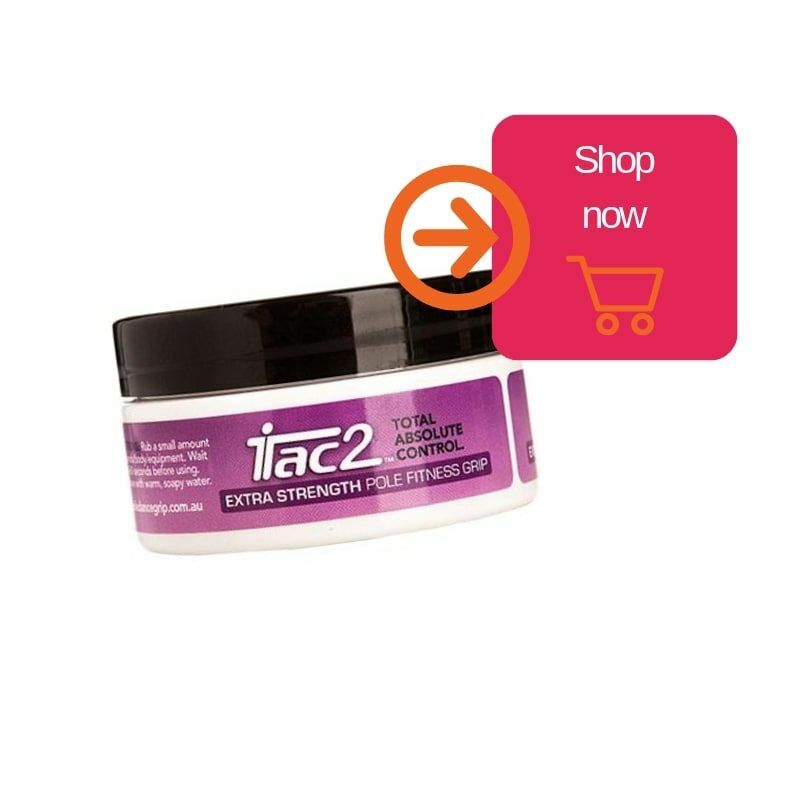 However, the iTac2 Extra Strength is extremely adhesive and provides excellent grip, so we recommend to use in combination with other aids. It works fantastic with the Dry Hands Pole Dancing Grip Aid and if you use a combination of these, then it will help you with the problem of sweating. We have found that the iTac2 is really good for aerial yoga, aerial silks and generally any aerial equipment which uses fabric. 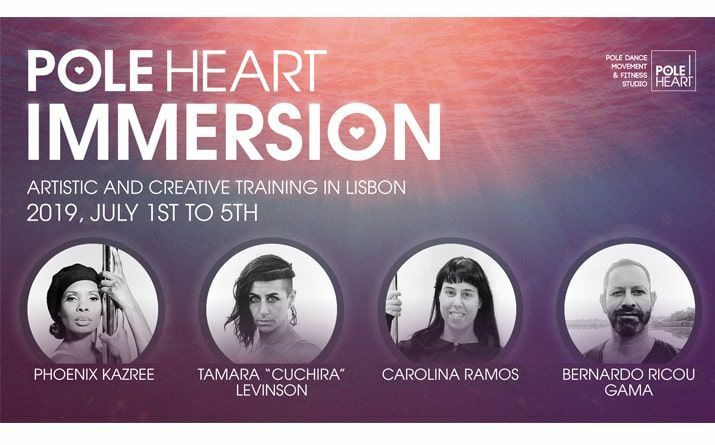 So, you can use the iTac2 Εxtra Strength for these types of trainings. As with any product, you must test products to find the right aid for you. If you buy iTac2 Extra Strength and find that it is not right for you, give it to another pole dancer as it can be ideal for her/him. Read our reviews for Dry Hands and Hydro Attack.